Bridgwater College’s newest venture, The McMillan Theatre has been officially handed over to Bridgwater College, from construction company Bam. The front of the new McMillan Theatre. 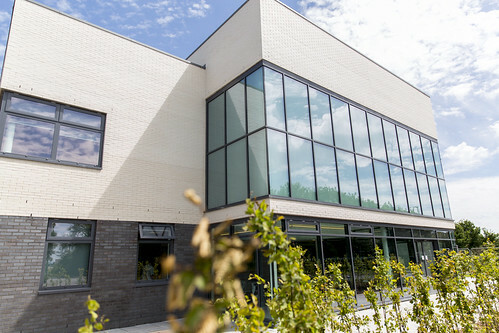 The £8million building has a 350-seat flexible theatre space, including orchestra pit and control room, box office, dance studio and changing rooms. As the only theatre space of its size and type in the local area, it will play host to professional and community performances as well as College productions, conferences and art exhibitions. View photos of the new facility on our flickr page. There are a number of upcoming performances, including Sedgemoor Showcase, on Thursday 9 July and Black Dyke Band, on Sunday 18 October. Tickets are available by calling 01278 556677. You can follow the theatre on Facebook, Twitter and Instagram. Performing Arts students go international!